Sign up to a ProPlenish Subscription and enjoy free delivery each month to your doorstep. 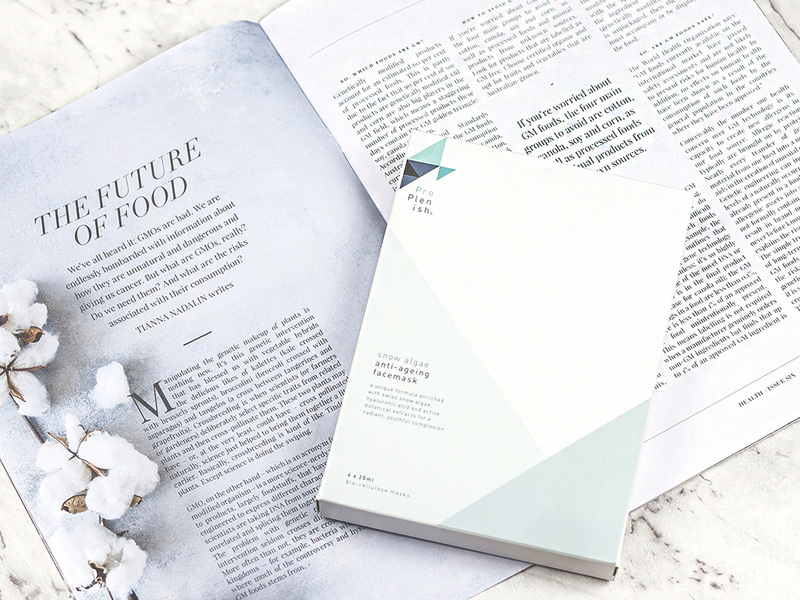 ProPlenish Swiss Snow Algae Facemasks help boost collagen and elastin production, reduce the appearance of fine lines and wrinkles, repair, hydrate and protect the skin. Earn up to 80 VIP Reward Points Points. Discover a more radiant, more youthful complexion with this potent blend of Swiss Snow Algae, hyaluronic acid and three active botanicals infused into a convenient bio-cellulose mask. For optimum skin health, combine regular use of our facemask with daily use of ProPlenish marine collagen oral supplements. Each pack contains 4 x 25ml Bio-cellulose masks. Your order will be dispatched within 24 business hours via Australia Post eParcel signature service. Please note Friday and weekend orders dispatched Monday. *Excludes Victorian Public Holidays – Please see our FAQs for holiday closure period. Aqua, Butylene Glycol, Sclerotium Gum, Phenoxyethanol, Cetearyl Isononanoate, Ceteareth-20, Cetearyl Alcohol, Glyceryl Stearate, Glycerin, Ceteareth-12, Cetyl Palmitate, Swiss Snow algae, Solidago Virgaurea, PVP, Hydroxyacetophenone, 2-Hexanediol, Xanthan gum, Sodium polyglutamate, Hyaluronic Acid, Butylene Glycol, Plantago Major Seed Extract, Caulerpa Lentillifera Extract. 4 bio-cellulose face masks. Suitable for all skin types. Keep in cool, dry place out of reach of children. For optimum skin health Science shows that skin regenerates every four weeks. Using the mask twice weekly for the first two weeks, then once a week thereafter will reward you with the best results. For optimum skin health, consider combining regular mask usage with daily ProPlenish Marine Collagen oral supplements.